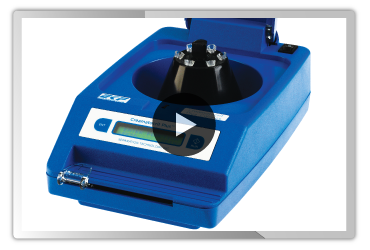 Creamatocrit Plus™ is the first and only system dedicated to providing a fast, accurate creamatocrit measure. 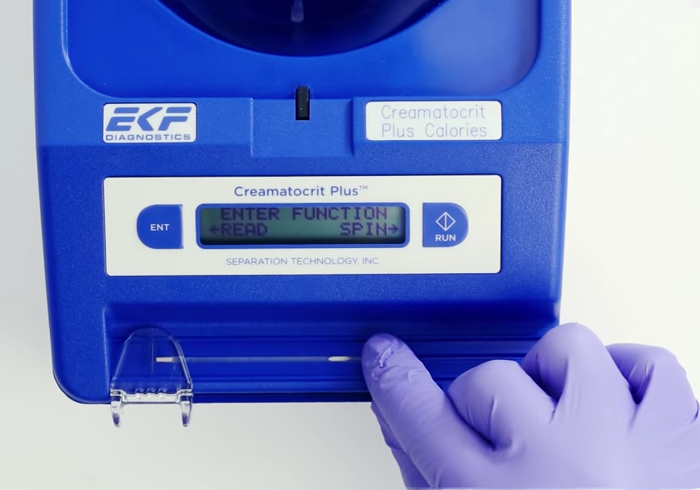 Creamatocrit Plus introduces a simple and accurate technique for estimating the lipid concentration and calorific density in mothers’ milk. It provides information doctors need and the peace-of-mind mothers need to continue breastfeeding. The creamatocrit technique is especially useful in the neonatal intensive care unit (NICU) to ensure premature infants are receiving the calories they need to thrive. Creamatocrit Plus™ also guides the separation of foremilk and the high-lipid, high-calorific hindmilk to accelerate weight gain in extremely low birthweight infants. This makes it extremely useful for Mother’s Milk Banks and WIC (Women, Infants and Children programs in USA). 2. Place the sealed tube into the centrifuge. 3. Read results displayed on screen. A simple and accurate analyzer for estimating the lipid concentration and calorific density in mothers’ milk. Is Creamatocrit Plus CE marked and FDA cleared? Creamatocrit Plus is CE marked. 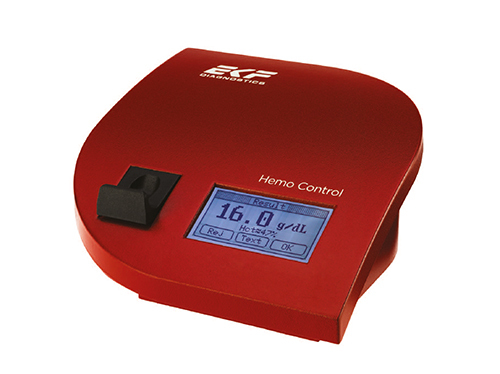 In the USA it requires no pre-marketing clearance, or specifically an FDA 510(k) clearance. Human lactated milk is classified as a medical food. Medical foods were defined in the Orphan Drug Act of 1988, and, as such, are not regulated as either a food or a drug by the FDA. 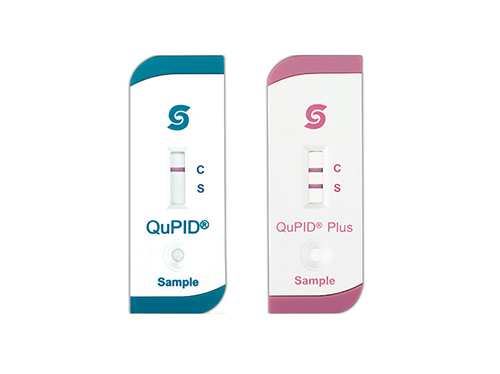 How often should a mother be tested? The frequency with which a mother should be tested depends on the situation. If the device is used to support breastfeeding by showing the mother just how good her milk is, then perhaps one test is sufficient. However, in a Neonatal intensive care unit (ICU) the mother’s milk may be tested a number of times throughout a 24 hour period. What quality controls are required? 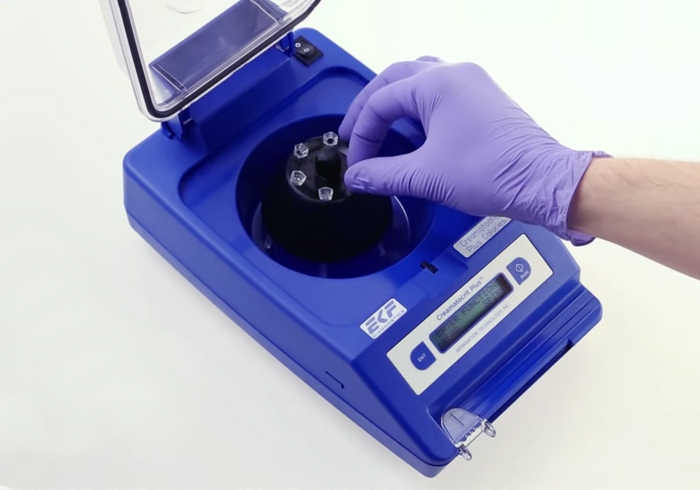 A control strip is included with the centrifuge. It can be used to confirm the tube reader is working correctly. Directions for performing a spin time and a tachometer test are included in the manual.